DSC provides phone software and technology that can help your real estate business pre-qualify your marketing leads. Using our state-of-the-art phone systems and real estate marketing software with our "Smart" message feature, we can call your real estate prospects and play a highly focused and custom marketing greeting. Your real estate prospects are given the option to talk with an agent, leave a voice message, hear additional information such as your nearest development or office, schedule a call back, or simply express no interest. 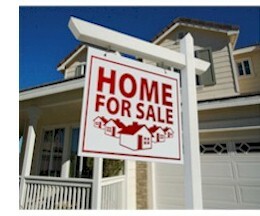 The call can further qualify your prospects by asking them additional information such as home preferences and styles. Now when your realtors speak with a prospective buyer, you know there is a high level of interest. Your real estate agents no longer need to spend hours dialing prospective clients following up on paper leads. Calls connected with your agents will be with highly qualified and interested home buyer prospects. Contact DSC to learn more about our real estate marketing phone services. To view other real estate applications, please visit our Real estate phone services webpage. For a list of other applications and services provided by DSC, please visit our Phone applications web page. The use of voice broadcasting technology in the real estate industry has many applications. Here are just a few of the types of calling campaigns that can be used in this industry. Auto Dialer Real Estate Campaign - This traditional method of calling dials a number from a phone list when a real estate agent is available to make a call. When the number is dialed, the phone system transfers the caller to a marekting representative. This method simply relieves your agents from the tedium of manually dialing real estate leads. This type of calling is appropriate when your marketing project or development requires a more personal touch with human contact, particularly with limited but highly qualified leads. Real Estate Message Broadcasting - This is another method of calling where the phone system dials from a list and plays a pre-recorded message either to an individual or to an answering machine. An agent is not required. This technique could be useful when you wish to inform a potential customer of an upcoming project or development. You simply may wish to provide instructions on how to contact your real estate office. Message Broadcasting with Touch Phone Response - This method expands the prior message broadcasting technique by playing a message that gives the potential customer options from which to select. Using touchphone responses such as "Press 1 for...", options could include obtaining additional information, being removed from the call list, leaving a voice message, or speaking with one of your agents. A different message can be left on an answering machine. Real Estate Predictive Dialing Campaign - Predictive dialing is very similar to automatic dialing except the phone system dials several numbers ahead to reduce the amount of wait time between calls that your agents handle. This greatly increases your agent productivity, but may lead to lost calls because the auto dialer contacts an individual when no real estate agent is available. "Smart" Real Estate Marketing Phone Dialing - This type of calling campaign blends Message Broadcasting with Predictive Dialing and can produce very productive results. Messages are played to potential clients, and if the individual expresses an interest in your real estate project or development, the call can be transferred immediately to one of your real estate agents. A separate phone message can be left on an answering machine. DSC can provide any type of real estate marketing program required by your organization and can even blend several types using our real estate autodialer to determine what works best for your specific marketing program.